Syrinx made an oath to be the goddess of chastity but keeping that vow has proved hard with Pan, the god of fertility, hot on her heels. Pan has had his fair share of maidens but none heat his blood the way Syrinx does. Escaping to another time where she's living as a human, Syrinx works as a florist where she's very content. Until Parker Thomas, a wealthy bachelor, walks into her shop to hire her. Decorating Parker's home is a job she certainly needs but the strong allure he has is far more than just as a client. Pan has come to coax Syrinx to give him a chance but the more he woos her the closer she gets to discovering that the man she's falling for doesn't really exist. Can the goddess of chastity ever love the god of fertility? 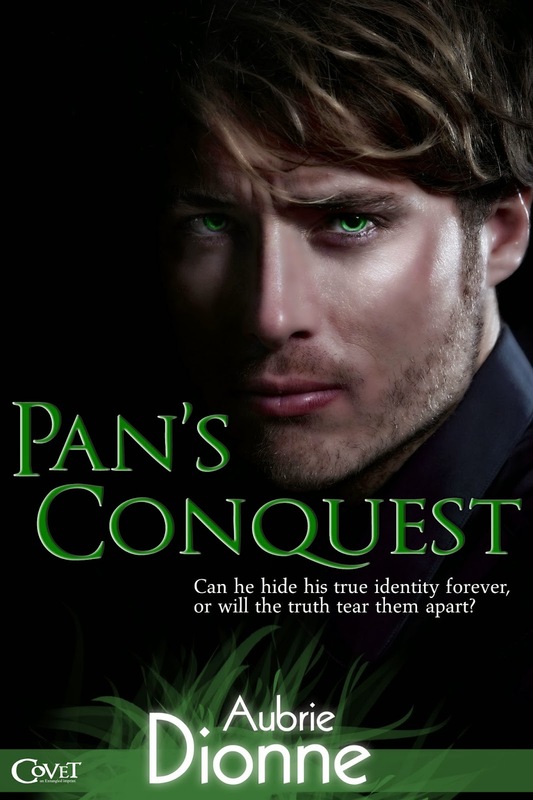 Pan is a mythological figure I've always been a bit fond of so I was eager to see what clever plot Dionne had devised to make him a romance hero. Alas, I found the entirety of PAN'S CONQUEST to feel painfully contrived. I felt no chemistry between the leads and worse, neither felt particularly well-fleshed out beyond the cookie-cutter deities they originate from. Had they been given stronger character development I think I might have found the story enjoyable but there just wasn't enough. While I found it lacking in anything original or memorably fresh, readers who haven't read a lot of mythology based romance might find this a really great place to start dabbling into them. Dionne is a writer I have enjoyed in the past, this one just wasn't for me.